Too much emotion and too little logic surround arguments around Article 35A of the Indian Constitution. Unlike Article 370, Article 35A appears in Appendix 1 of the Constitution. Article 35A was inserted by a Presidential proclamation — not by an Act of Parliament. It can be annulled by a Presidential order. Approval of Parliament was not sought to insert it; approval of Parliament is not necessary to annul it. Beyond this irrefutable fact lies feudal politics and economic self-interest. Article 35A does not allow citizens from outside the state to own property in J&K. Non-J&K Indian citizens can’t get permanent residency in the state. Indian citizens from outside J&K aren’t allowed admission to schools and colleges in the state. Indian citizens, again from outside J&K, cannot take employment in the state. Worse, SC/ST workers who were brought in to J&K in the 1950s, on the solemn promise that they would be given permanent residency status in the state have, 60 years and three generations later, still not received residency in J&K. Not a single Dalit leader — not Mayawati, not Prakash Ambedkar — has condemned this injustice to SC/ST migrants in J&K. Under Article 35A, women who marry non-J&K Indian citizens automatically lose their property and residential rights in the state. Feminists have been notably silent on this gross gender injustice. By placing the state under a metaphorical veil, J&K’s economic development has suffered grievously. On a visit to Srinagar, I asked the general manager of the hotel I was staying at about why the state, a haven for tourists, had relatively few top class hotels and even fewer industries. 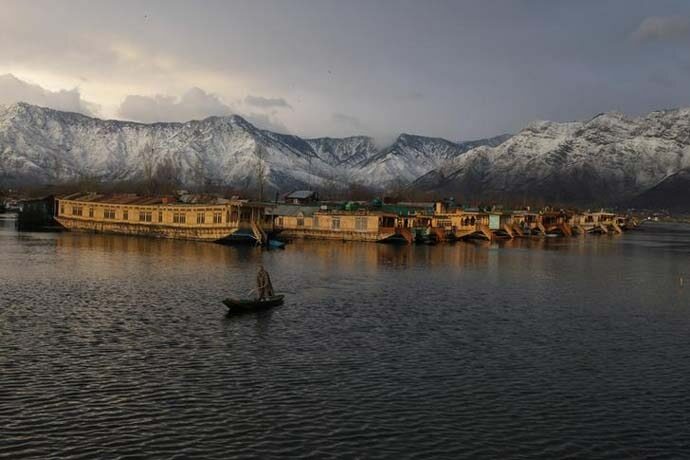 With its climate, J&K could be a world-class centre for pharmaceutical R&D, medical labs, data warehousing, infotech, artificial intelligence and a host of new-economy ventures, including next-generation startups and tech firms. Instead, caught in 35A’s stranglehold, J&K remains stuck in the 1970s, even as the rest of India races ahead on the way to becoming the world’s third largest economy by 2030. This self-imprisonment consigns generation after generation of local Kashmiris to lives of economic mediocrity. 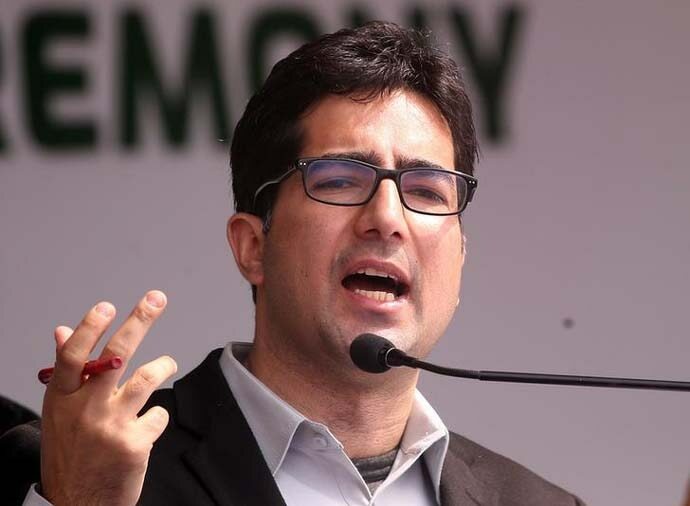 When the occasional bright spark like IAS topper Shah Faesal emerges, he is drawn into the vortex of lucrative 'separatist-led politics'. A handful of feudal political families have amassed great wealth while J&K’s residents live off Indian taxpayers’ handouts, amounting to more than Rs 25,000 crore a year. Without that financial support, even the salaries of J&K’s states employees would be difficult to pay. The most serious infirmity in Article 35A is also the most damaging — majoritarianism. The basis of Article 35A and Article 370 is to protect J&K’s demography. What is that demography? Sheikh Abdullah told Jawaharlal Nehru in November 1949, two months before the Indian Constitution came into force, that a Muslim-majority state like J&K should have special protection and special status. Special status on the basis of what? J&K needs development, not protection. Using Muslim majoritarianism to justify special status is as toxic as the rest of India using Hindu majoritarianism to deny minorities their rights. Indeed, the Indian Constitution gives minorities and their personal laws even more protection than it gives the majority. In a secular country, majoritarianism based on religion is retrograde and unacceptable everywhere — including in J&K. Article 370 was regarded as so treacherous by Dr Babasaheb Ambedkar, head of the drafting committee of the Indian Constitution, that he opposed fiercely the attempt by Nehru and Sheikh Abdullah to push it through in the draft Constitution in November 1949. Sardar Vallabbhai Patel too opposed the inclusion of Article 370 in the Constitution, but out of loyalty to Nehru and in order to preserve unity in an emerging Republic, felt compelled to go along with it — however, he inserted the words “temporary and transient” to make sure the discriminatory Article (as Ambedkar termed it) did not become a permanent wedge between J&K and the rest of India. Patel died in 1950, Ambedkar in 1956. Article 370 lives on — alienating Kashmir from the rest of India and allowing Pakistan to make the Valley a breeding ground for Wahhabi terrorism and radicalisation. 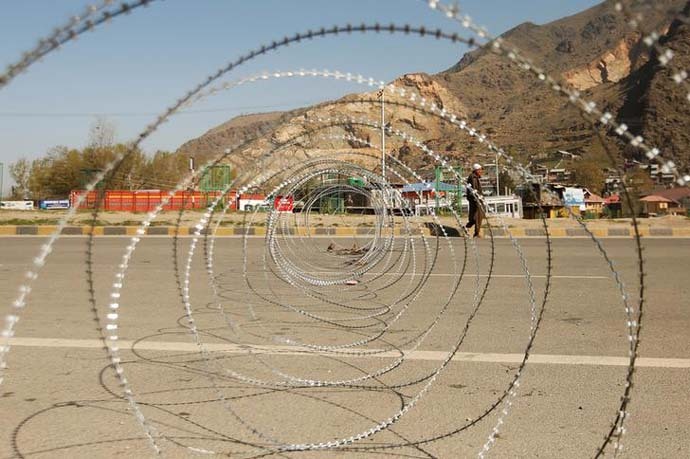 While repealing Article 370 needs the approval of the J&K assembly — unlikely in the foreseeable future — Article 35A, which holds J&K’s economic development to ransom, can be annulled by a Presidential order. Parliamentary approval is unnecessary. The annulment will unshackle J&K from its self-imposed economic chains. Who will benefit? The people of J&K. Who will lose out? 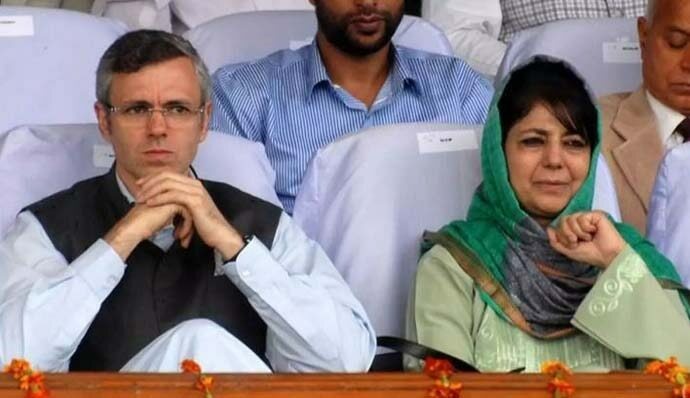 Feudal families like the Abdullahs and Muftis who have cynically used Articles 370 and 35A to retain political power — and the accoutrements that go with it — at the cost of the average Kashmiri. The agitated reaction of Mehbooba Mufti and other Kashmiri politicians over the possibility of the government revoking Article 35A reflects their fear of dispossession. What about former Chief Minister Omar Abdullah’s threat of the state reverting to its pre-1953 status with two prime ministers in India if Articles 370 and 35A were revoked? Abdullah’s threat should be dismissed as posturing by a feudal political dynast who benefits from keeping J&K a restricted fief. Dr Ambedkar despised Article 370 but could not resist pressure from Nehru and Sheikh Abdullah to include it in the Constitution. It has, over the years, been progressively eroded. Given the legislative difficulty of abrogating it, “creeping erosion” will eventually make it infructious. However, for the sake of the people of J&K and their future prosperity, Article 35A must no longer be allowed to hold J&K’s economic development to ransom. It can — and should — go. Also Read: Article 35A violates the rights of J&K women. Why is the world of celebrity feminists silent?